Realize the value of 3D GIS in your workflows and operations. What can 3D analysis do for you? Blue Raster can help you 3D enable your geographic data. Whether you need embedded interactive 3D maps for your website or want a jumpstart with 3D services, our expert developers and analysts can help you build the maps you need. Blue Raster is an Esri Authorized Reseller of ArcGIS 3D Analyst— industry-leading software that extends the capabilities of Esri’s ArcGIS Pro with tools for creating, visualizing, and analyzing GIS data in a 3D context. 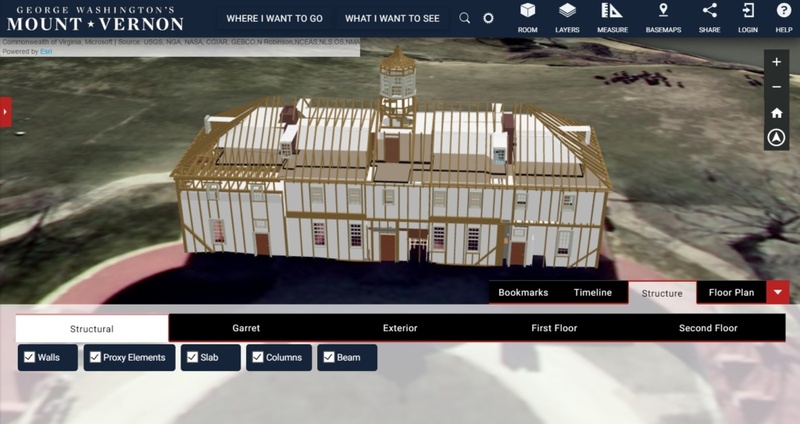 Blue Raster developed a prototype online 3D GIS portal for viewing the available spatial, structural, and background information associated with a historic building information model (HBIM) created by Quinn Evans Architects. This includes location information and 3-D modeling associated with individual elements of the buildings and landscape. The tool makes the extensive historical documentation of the Mount Vernon estate accessible to scholars, educators, and the public while improving its conservation and maintenance. Blue Raster collaborated with the Jane Goodall Institute to pilot the use of drone imagery for forest and chimpanzee conservation. Drone2Map made it easy for our team to upload images, review drone flight routes for accuracy, and configure system resources to enhance processing performance. By creating orthomosaics and sharing them to ArcGIS Online, the JGI team was able to visualize that data within their Forest Monitoring Dashboard. 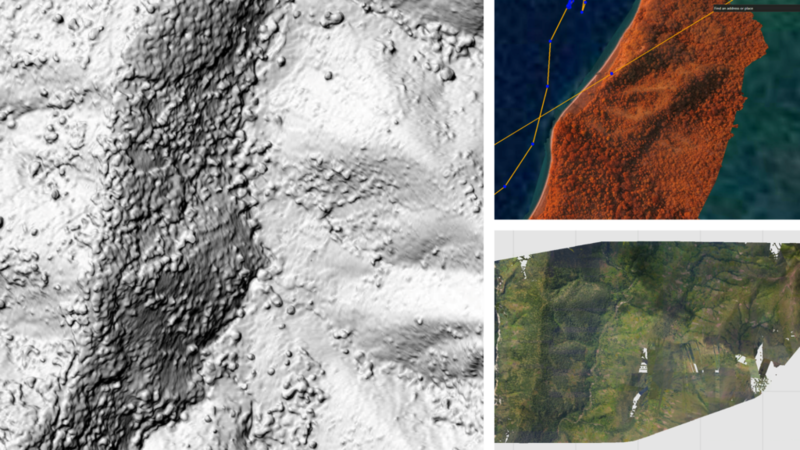 Sample images – Close up of the Digital Surface Model (DSM), infrared image displaying the flight path, and an example of an orthomosaic.